Alexander is ranked 39th at Senior level and continues to move up the rankings. Alexander also finished in the top 10 of the Junior rankings in 2015. Alexander has had a lot of achievements during his career. Representing Great Britain at cadet level (aiming for U23 next season), Wales at Junior and Senior Level is his best to date. Alexander has been lucky enough to compete at the UK School Games many times and medalling (best one was 2012 at Excel and the Olympic Park before the Olympics was held there). The most recent achievement was in Croatia at St Duji Cup were he was lucky enough to fence the 2008 Olympic Champion twice (https://en.wikipedia.org/wiki/Matteo_Tagliariol ). Also at the same competition was the 2012 Olympic Champion (https://en.wikipedia.org/wiki/Rub%C3%A9n_Limardo ) and others going to Rio Olympics. The season for fencing has now finished, however Alexander is still training during the summer, preparing for next season. Alexander has also been asked by GB Pentathlon to go out to their training camp, to train with and fence against their Olympic squad to prepare them for Rio. 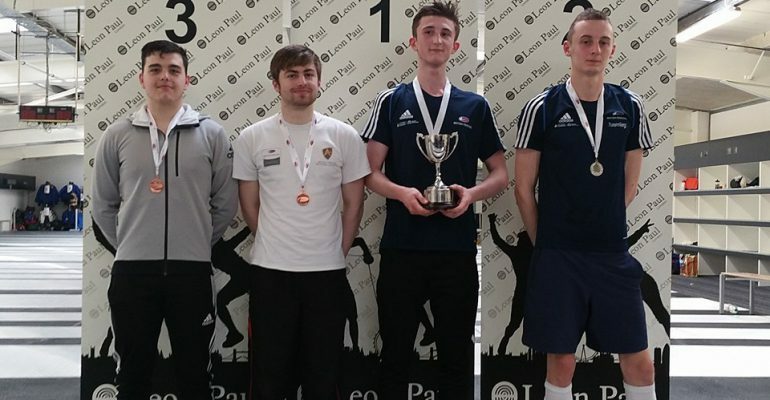 His goals for his fencing career is to keep representing Wales at the highest level and also to go to a World Cup and place well at the Euros, representing GB. Alexander currently trains at the GLL Leisure Centre in Brixton and also in Reigate, Surrey. He also uses the membership when back home in Redhill. The training membership is very useful for athletes that travel a lot or are at University and need to train at home and during study time. We’re very happy to be supporting Alex with his fencing and training and wish him the very best of luck for next season!